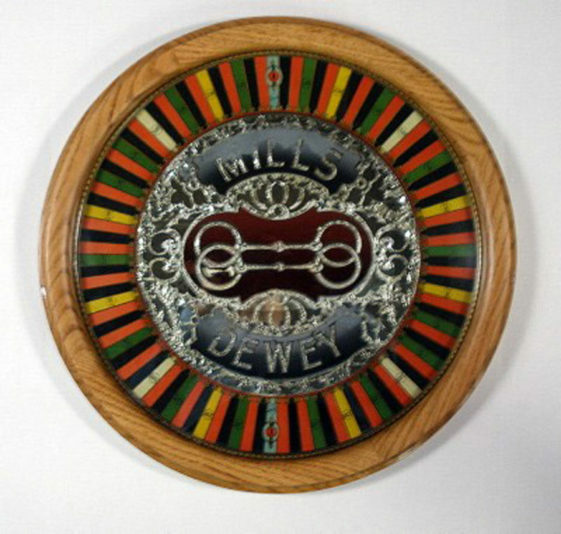 Round light box for stained glass with personal engraving. 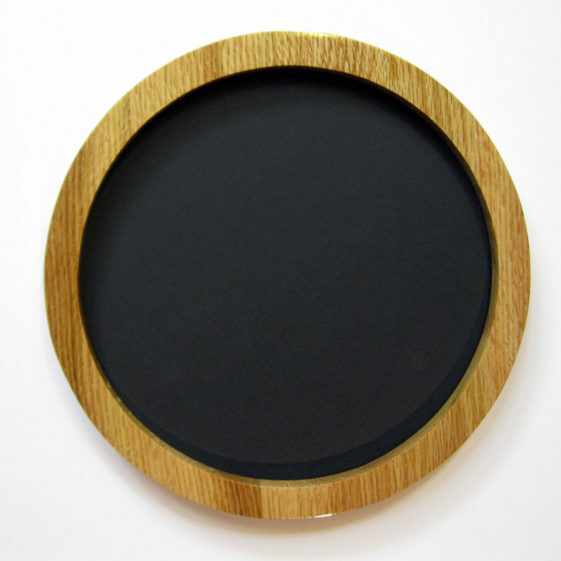 As can be seen, the round oak frame is made very thick to provide space for diffusing light for stained glass. 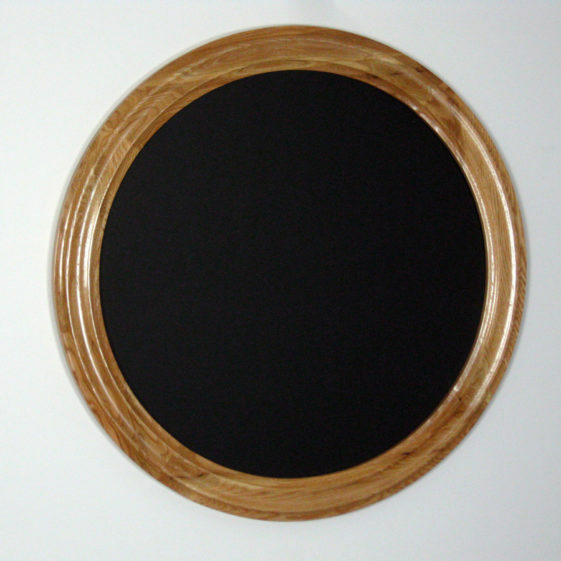 Included with this frame is a reflective backing, light diffuser, and hanger. 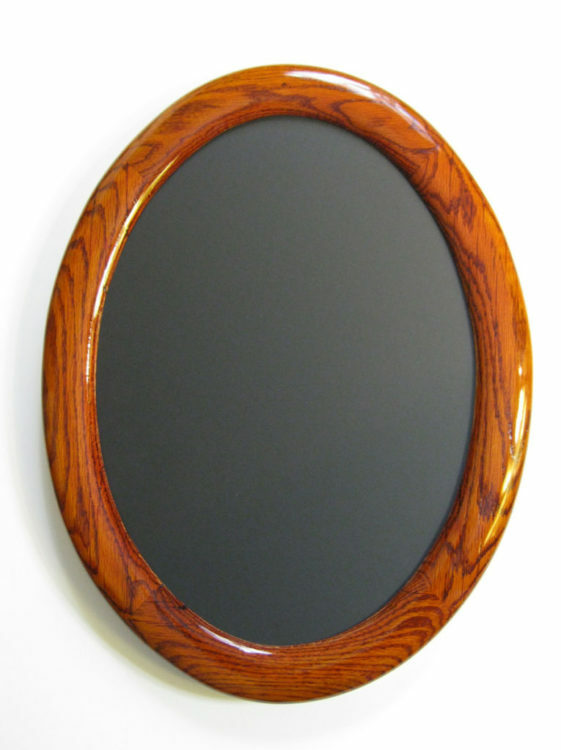 Shown with an unstained natural finish. 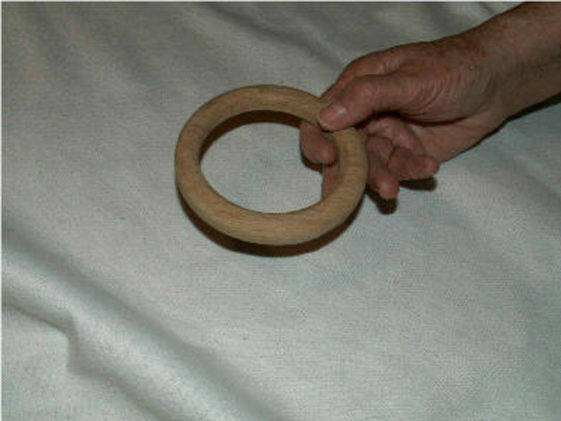 Shown with a mahogany stain. 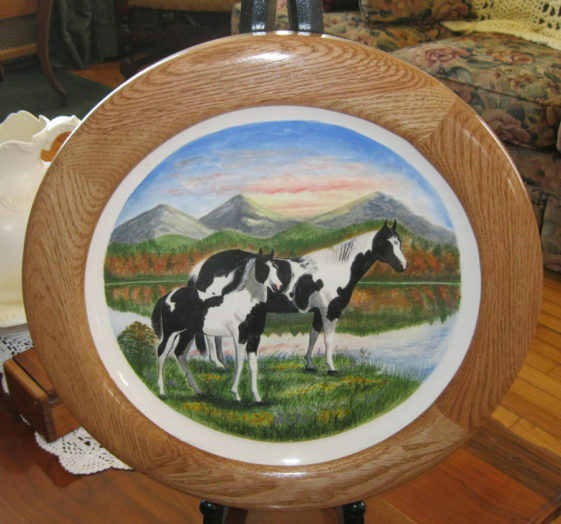 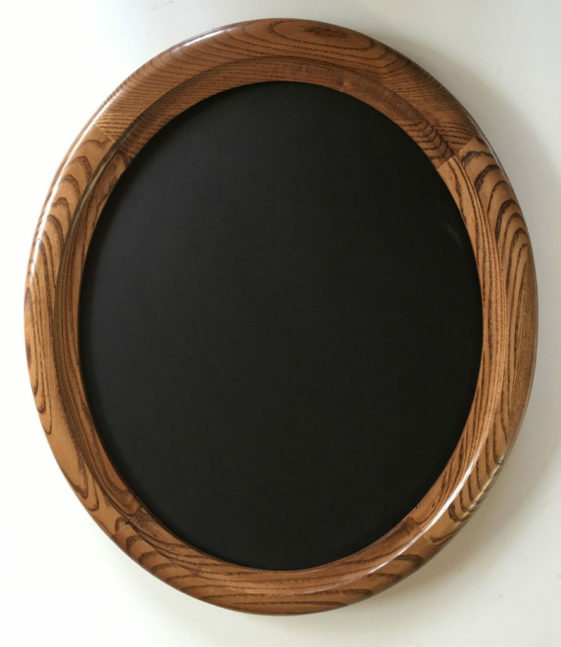 This 16 x 20 oval frame made of ash looks great with the painting. 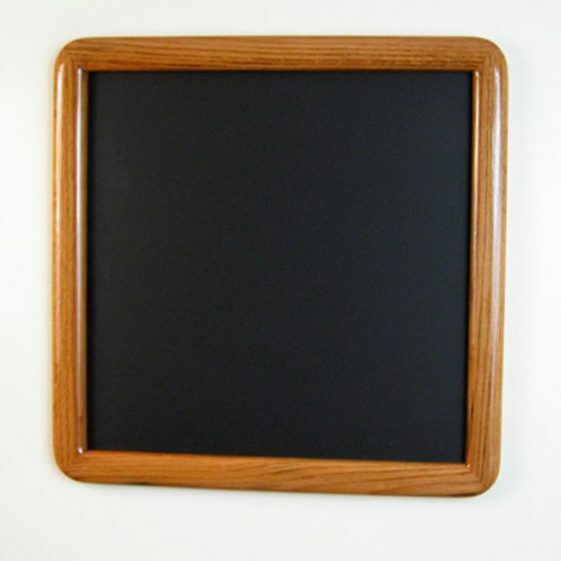 Shown with our “traditional” profile design. 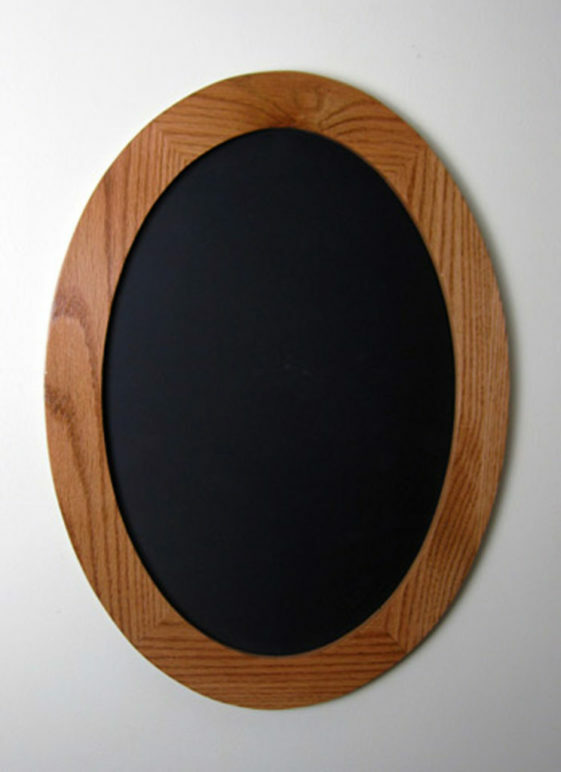 Oak and ash look much alike and both are usually available. 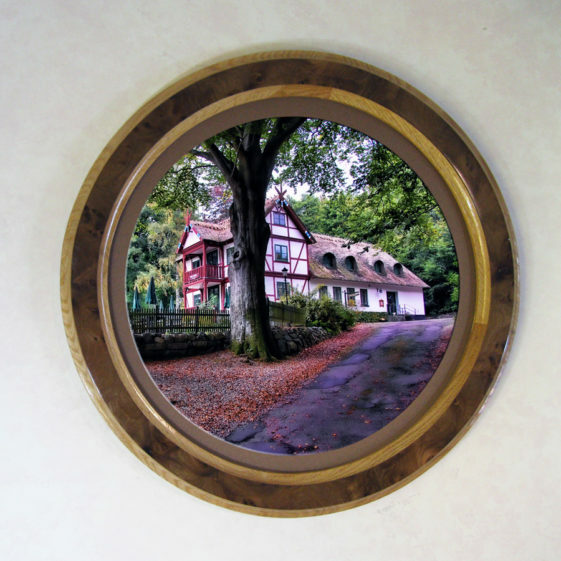 Round oak frame shown with our “center profile, inside – outside cove” also features a natural finish. 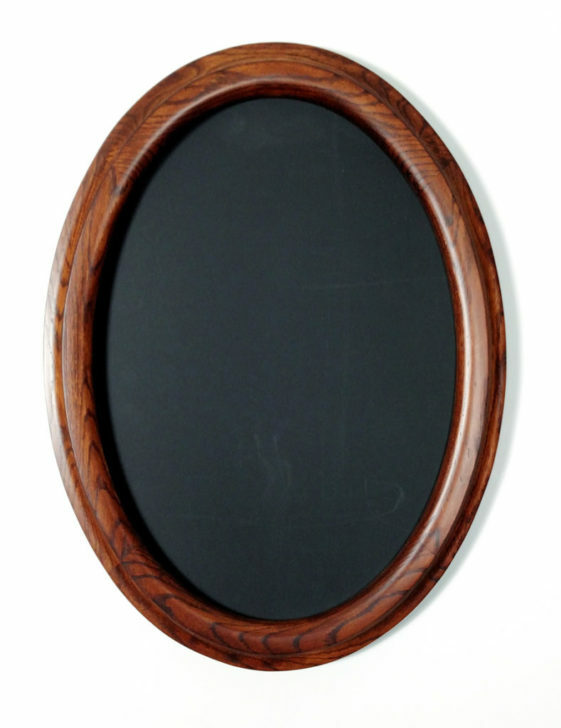 Round Corner Frames are nearly impossible to find, but we have them–and in nearly any color you can think of. 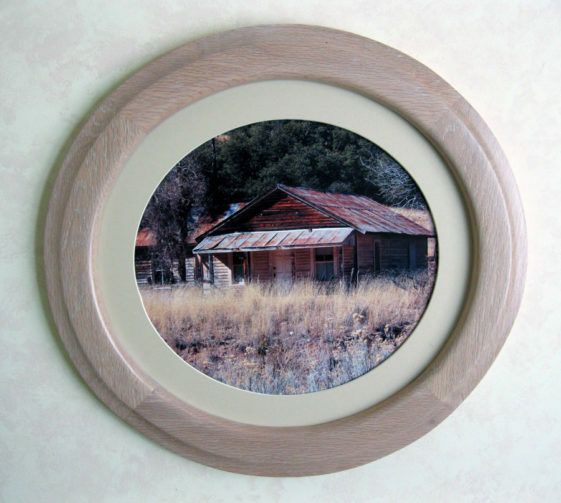 Visit our Round Corner Frame page. 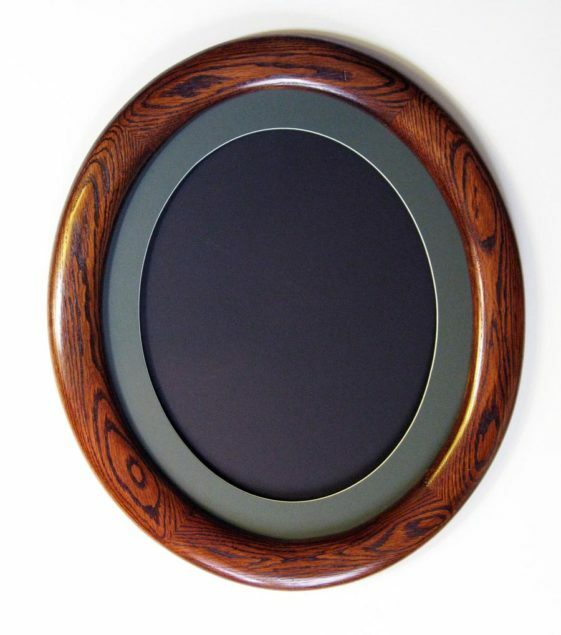 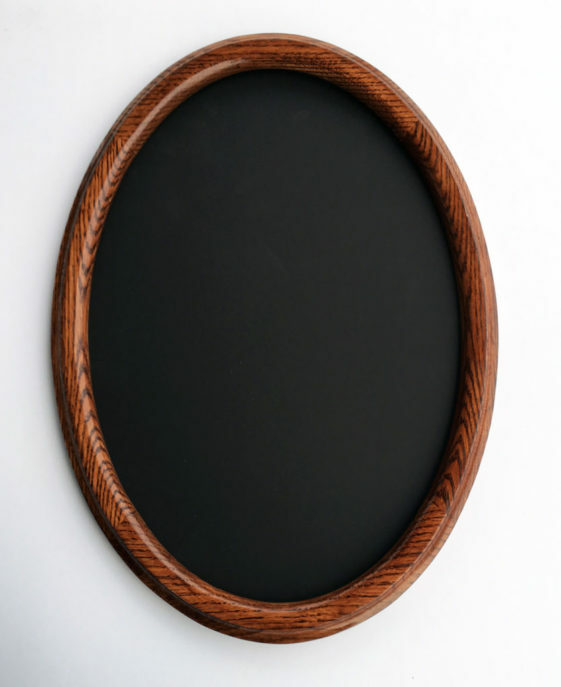 Oak oval picture frame stained dark walnut color. 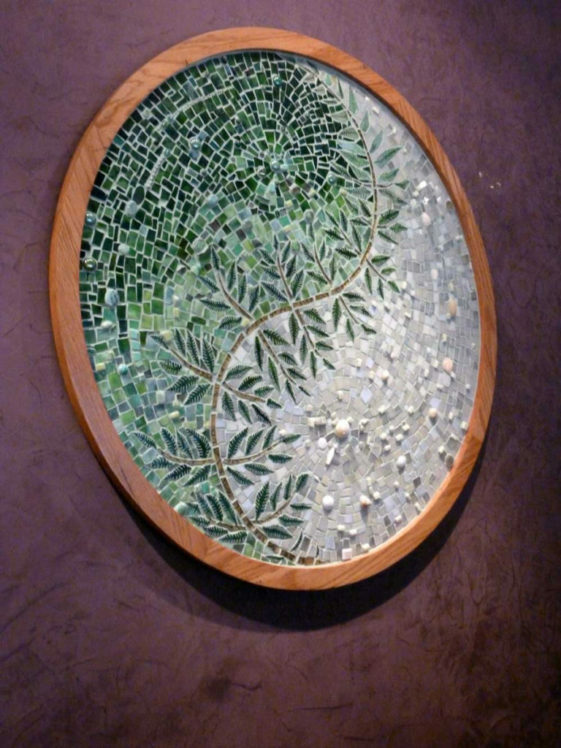 The frame and green matting actually make a great contrast for many pieces of art. 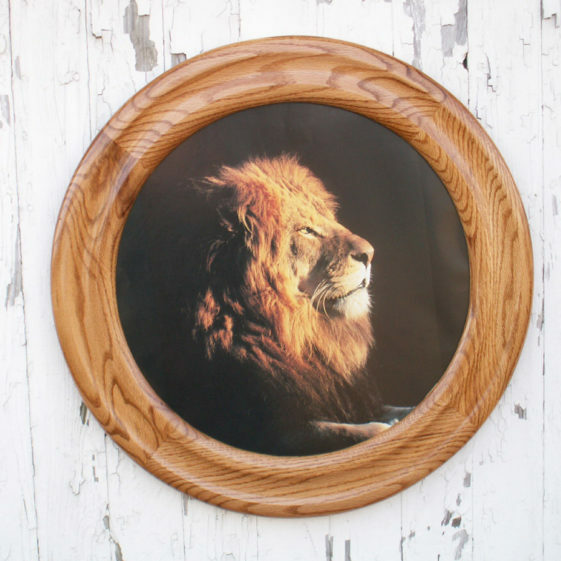 The back is 2″ thick, which allows the frame and plate to be hung on a wall without any problem. 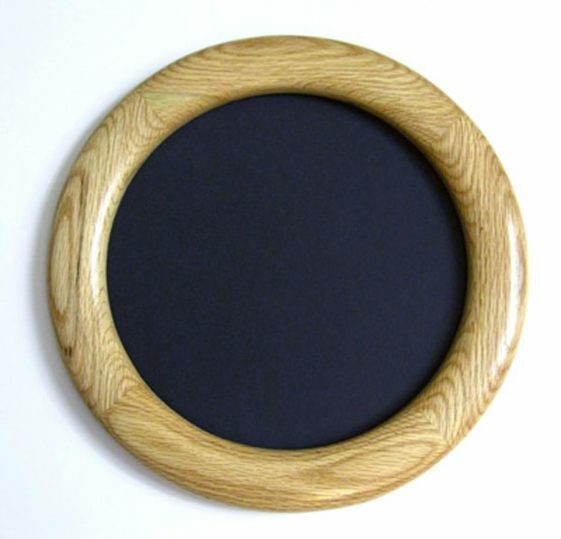 Oak Round Picture Frame made to hold a slot machine wheel. 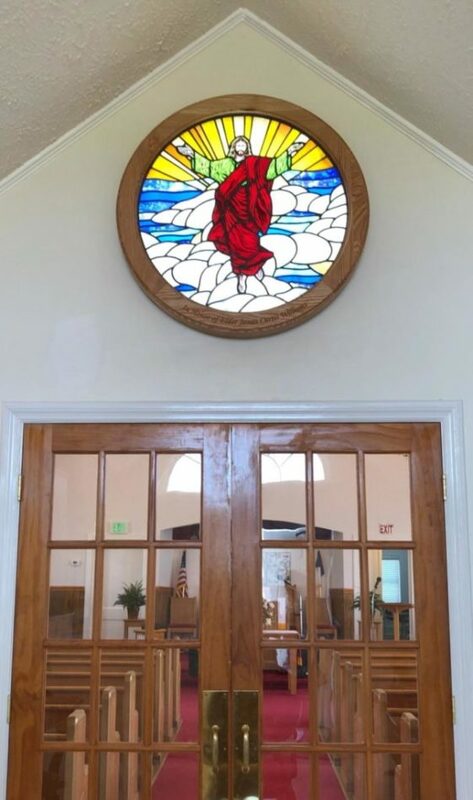 Yes, it is that small! 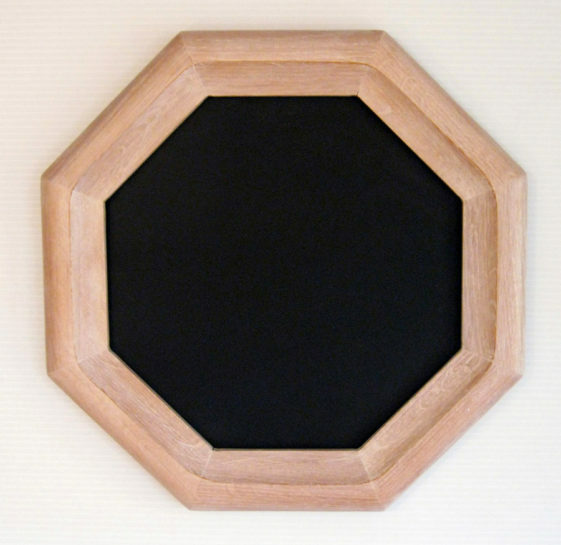 We’ve made our circle picture frames as small as 2 inches and as large as 6 feet.